The global lender's semi-annual World Economic Report pointed to the U.S.-China trade war and a potentially disorderly British exit from the European Union as key risks and warned that chances of further cuts to the outlook were high. Governments may need to open their pocketbooks at the same time "across economies" if the slowdown becomes more serious, Gopinath said, adding that loose monetary policy might also be needed. In its third downgrade since October, the IMF said the global economy will likely grow 3.3% this year, the slowest expansion since 2016. 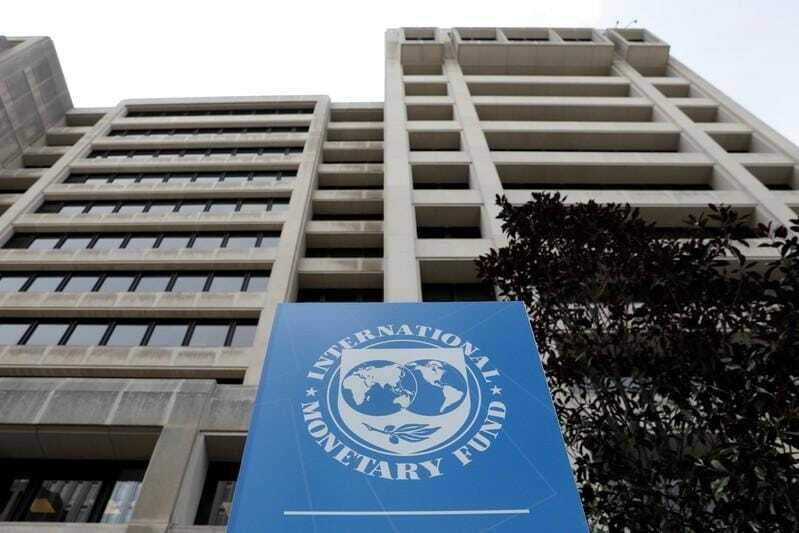 The forecast cut 0.2 percentage point from the IMF's outlook in January. The IMF's new forecast assumes an orderly "Brexit," but the Fund said a chaotic process could shave more than 0.2 percentage point from global growth in 2019. It said the Bank of England should be "cautious" on its interest rate policy, an apparent tip to wait before hiking borrowing costs. The EU's economic growth is already slowing substantially, though the IMF said it still expects the slowdown in Europe and some emerging market economies will give way to a re-acceleration in growth during the second half of 2019. The outlook for Germany, one of the main drivers of European growth, suffered from weaker demand for its exports, softer consumer spending and new emissions standards that have depressed car sales. U.S. Treasury yields slid on concerns about the global economic outlook, which also weighed on U.S. stocks. The Dow Jones Industrial Average index fell 0.7% and the S&P 500 and the Nasdaq Composite both closed about 0.6% lower as the growth forecasts and renewed trade worries sparked by new U.S. tariff threats on European aircraft and food products weighed on sentiment. U.S. Treasury Secretary Steven Mnuchin disputed the IMF's assessment that U.S. growth was slowing and told lawmakers he was not concerned about a recent inversion of the Treasury yield curve - often a harbinger of recession. "There's no question that growth outside of the United States, whether it be Europe or China, has slowed significantly," Mnuchin told a U.S. House Financial Services Committee hearing. "From everything we see, we see for the next few years still strong, robust U.S. growth." The IMF said it supported the U.S. Federal Reserve's decision to pause its rate-hiking cycle, which the global lender said would support the U.S. and world economies this year by easing financial conditions. The IMF raised its forecast for U.S. growth in 2020 by a tenth of a percentage point to 1.9%. The global lender said it was slightly boosting its outlook for Chinese growth this year - to 6.3% - in part because an expected escalation in the U.S.-China trade war had not materialized. Still, America's ongoing tensions with China and other major trading partners continue to cloud the global economy. U.S. tariffs on Chinese imports are hitting Chinese growth and also weighing on Latin America and other parts of the world dependent on Chinese demand for commodities. China was trying to rebalance its massive economy away from investment and exports when U.S. President Donald Trump ordered higher tariffs on Chinese imports beginning in 2018. China responded with retaliatory tariffs on U.S. goods. Gopinath, the IMF chief economist, said the Chinese economy was showing some tentative signs of recovered growth, which she described as "green shoots."